Get Healthy - Get the Message! 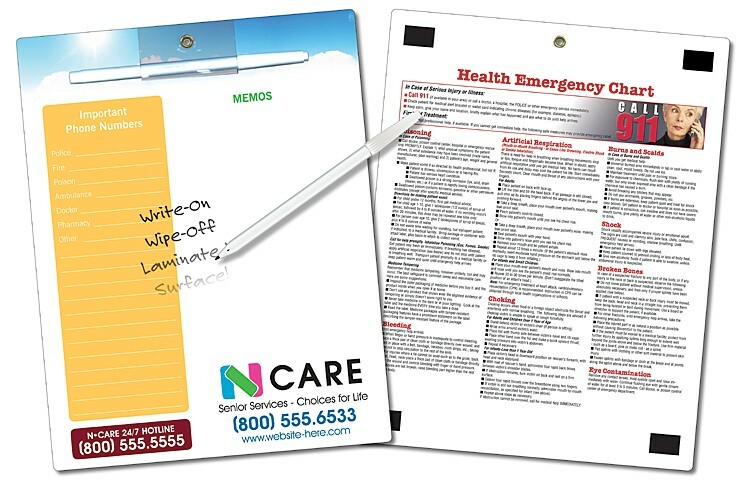 8.5 x 11 magnetic write-on/wipe-off laminated memo boards are an effective marketing tool used to communicate your message to the public, new visitors, health care services, health fairs, current patients, new parents, etc. Sometimes, the trick to getting a customer''s business can be as simple as whose information is the most readily available. Memo boards give you exposure 24 hours a day, 7 days a week and are placed in high traffic areas.